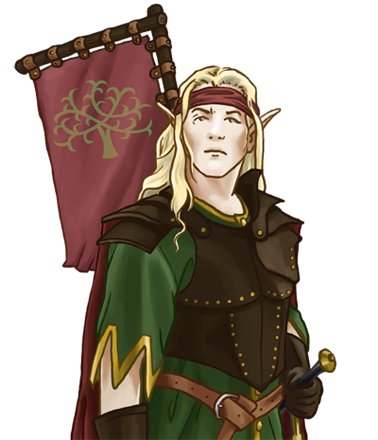 Elves are not often the instigators of open war, but will not shy away when the time comes to do battle. Of course, blindly engaging in combat without any strategy or tactic is foolish, and so the elves maintain a small number of strategically-minded commanders at all times. Selected from the most talented captains, marshals undergo extensive training in various military styles, including those of the humans and orcs. They are brilliant, unorthodox strategists who excel at breaking down large battlefronts into smaller skirmishes, transforming ordinary campaigns into dispersed guerrilla warfare. Engaging elves in their own homes is always a daunting task for any invasion force, and it is precisely because of the skilful manoeuvring of the marshals that manage the protection of their people.